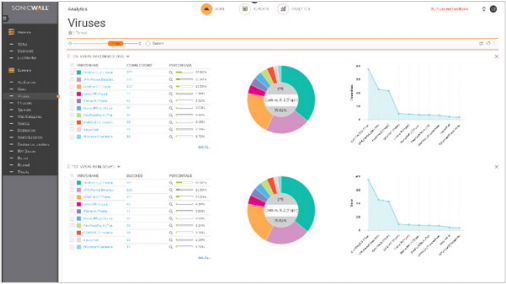 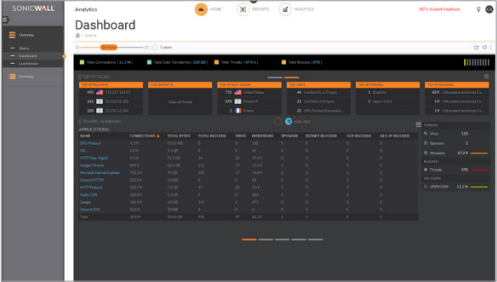 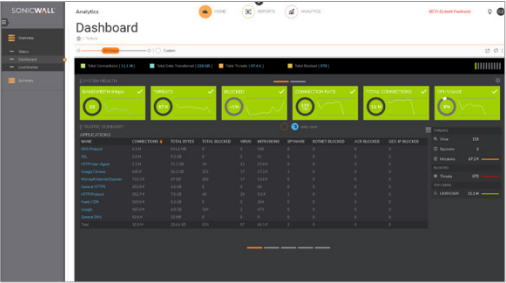 SonicWALL Analytics provides an eagle-eye view into everything that is happening inside the SonicWALL network security environment - all through a single pane of glass. 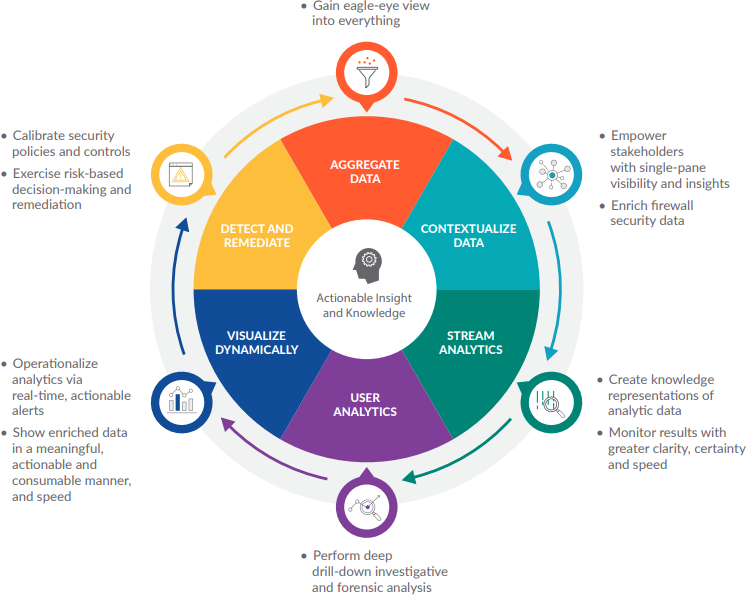 At its core is a powerful, intelligence-driven analytic engine that automates the aggregation, normalization, correlation and contextualization of security data flowing across all SonicWALL firewalls and wireless access points. 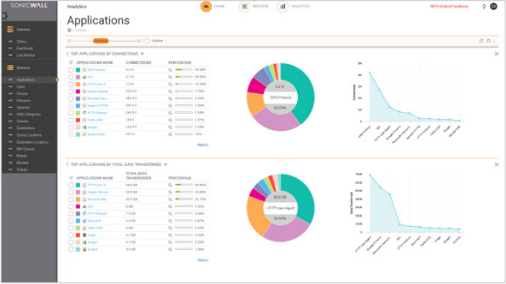 The application's interactive dashboard uses various forms of time-use charts and tables to create knowledge representations of the data models. 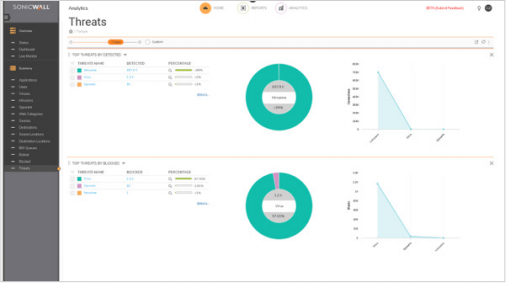 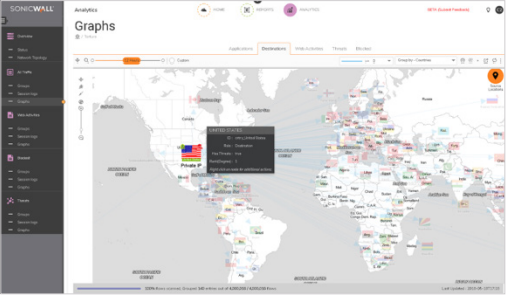 User analytics Deep analysis of users' activity trends to gain full visibility into their utilization, access, and connections across the entire network.